I am now able to share with you the secret project I have been working on for the last couple of months. 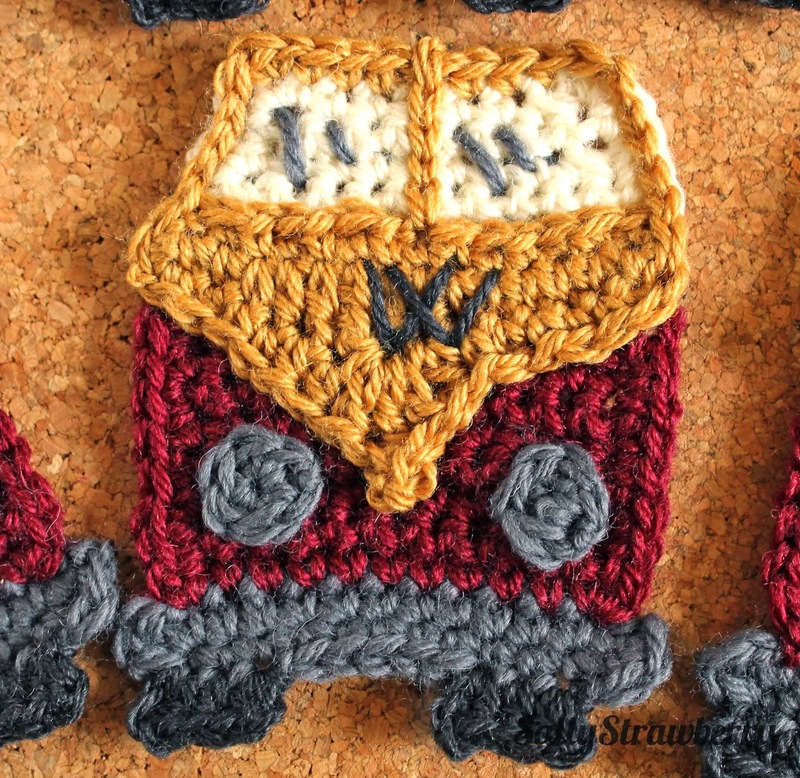 A friend from my PhD days was getting married and when I asked her what she would like as a wedding present she sent me a crochet pattern for campervans! Once the bridesmaids dresses were all sorted I received a gorgeous parcel of wool in colours to match the dresses. This yarn was from Abstract in Walthamstow and I would like to thank Alessandra for all her help in selecting the appropriate weight yarn and colours for the project. Abstract is a fantastic little shop so do pop in if you are in the area (I hope to go back soon too!). So, why campervans? 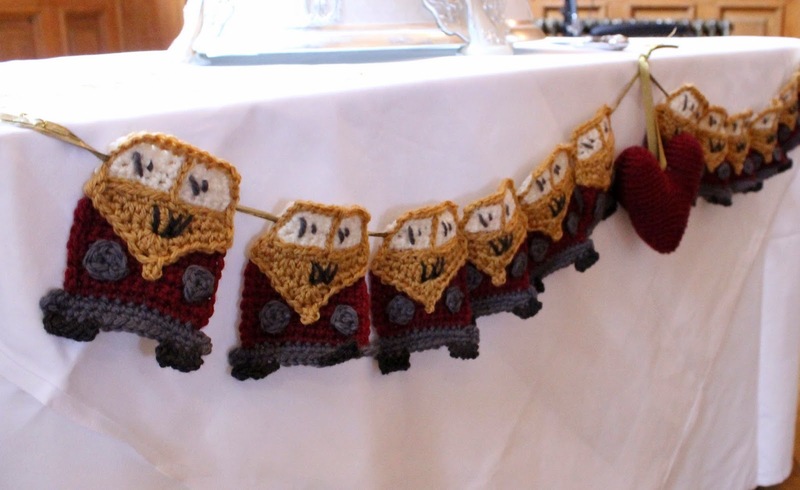 The wedding was to be campervan themed! Wowsers! This was all very hush hush so I had to keep this project a secret for aggges- pretty hard when I was so excited about it! 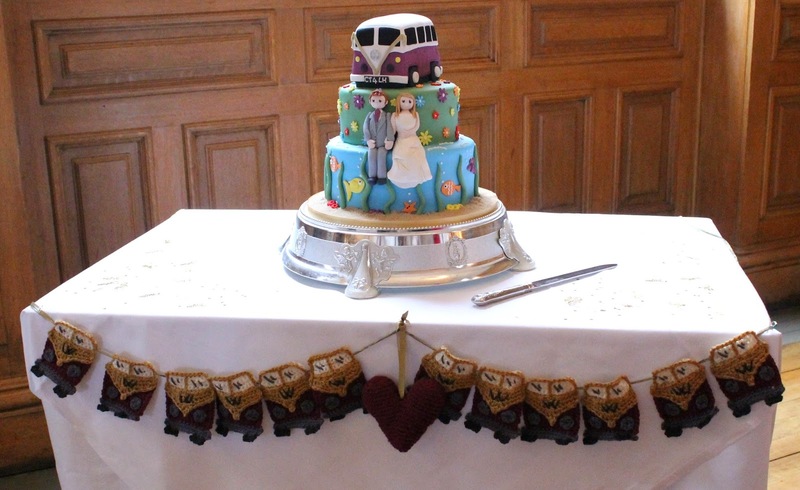 The campervans were destined for bunting for the cake table at the reception. and in situ on the big day! Isn't that cake just awesome?! I'm really pleased with how they turned out, but most importantly the bride and groom were too! Superb job! Very well done dear! They are looking super cute. My husband has campervan hire Australia business. 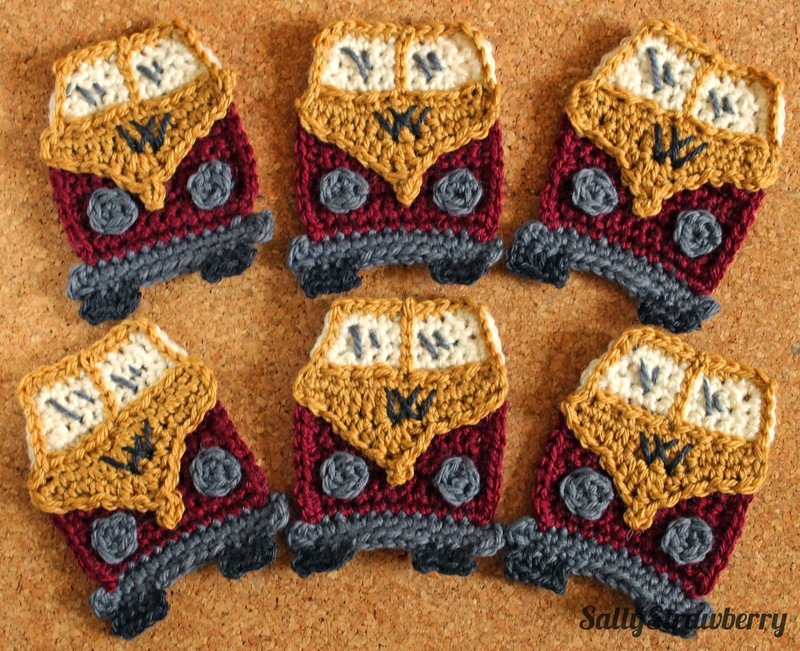 I have also made such woolen campervan designs to decorate some of our camper vans. Oooh, that's great! Would love to see some pictures!